Deep Tissue Laser Therapy can be used on a variety of conditions, such as plantar fasciitis, tennis elbow, Achilles tendinitis, Patellar tendinitis, Iliotibial band syndrome (IT band syndrom), low back pain, sciatica, and carpal tunnel. 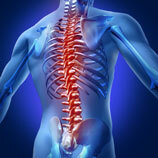 Quite simply, if it hurts, Deep Tissue Laser Therapy may be able to help. 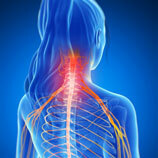 Deep Tissue Laser Therapy is a non-invasive technique that helps reduce pain and inflammation. 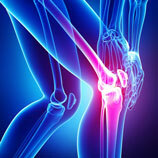 Laser therapy can be safely used on acute or chronic conditions. This type of physical therapy and pain relief treatment is FDA cleared and has enabled patients to have an alternative to drugs and surgery. Deep Tissue Laser Therapy treatments only take 5-15 minutes and a patient typically only needs 8-12 treatments depending on the condition. Laser therapy treatments must be administered directly to the skin, as laser light can not penetrate through clothing. Patients will feel a soothing warm sensation as the laser therapy is administered. Many professional and college teams utilize deep tissue laser therapy because of its ability to expedite the healing process.